Dining and beverages may take a turn along with other lifestyle activities, set in the lovely outdoors, poolside, , and the beach, for sunset, picnics and backyard barbeques on the horizon. Hot soups and heavy stews may give way to more salads, fresh vegetables, and other lighter fare. Vichyssoise, anyone? Those hot cups of coffee every morning may be challenged by iced tea or other healthy coolers like chilled fruit juices. As for adult beverages, cold beer is “in!” White, rosé and sparkling wines are in vogue, so cellar those big, bold, tannic reds for another time. They’ll be much better next winter with more age on them! Much lighter cocktails are definitely on the liquid menu. Those lovely bourbons, scotch, rye and dark rums we enjoyed all winter long may take a place at the back of the bar for some time, while gin, vodka, tequila, pale rum, and other lighter spirits are more in fashion for spring! French Quarterly surveyed a couple of new and exciting bars and also one of the best, time-honored establishments to find out what’s bring poured this spring. 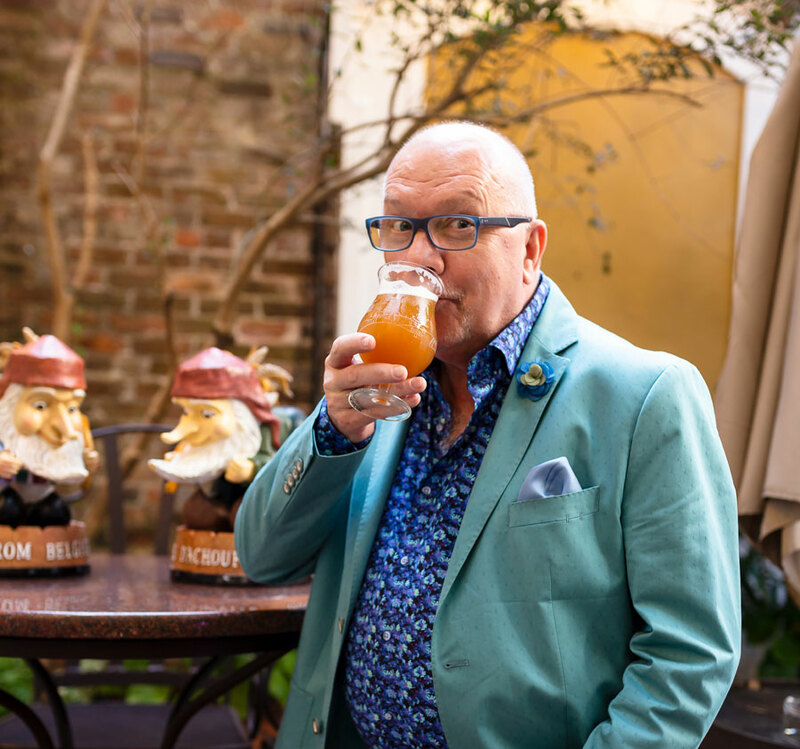 A fixture in the French Quarter since 1806, the historic Old Absinthe House bar at the corner of Bourbon and Bienville is connected to Belle Époque, a lounge occupying the former Tony Moran’s Restaurant. An extension of the Old Absinthe House, the intimate bar will present an introduction to absinthe with a menu of appetizing, French canapés and small plate specialties. Curator of the cocktail program and bar director, Laura Belluci, formerly SoBou’s bar manager, has developed an intoxicating narrative and an exotic and approachable flight of absinthe cocktails that explores the evolution of the drink, from Bellucci’s classics like the Absinthe Frappe to an Herbsaint Apricot Zombie. “You’ll be sipping on the alchemy of the old and the new,” said Bellucci, who has developed a cocktail menu that appeals to both the expert and the casual drinker with a focus on simplicity and history. 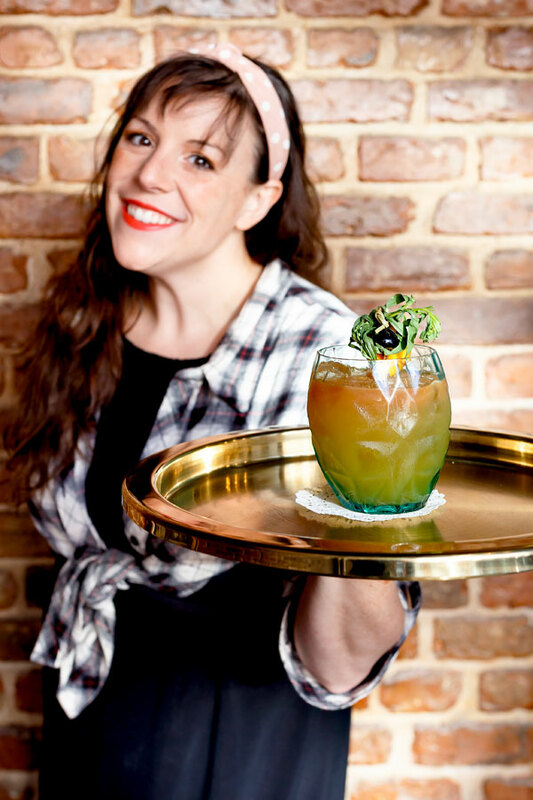 Executive Chef Hayley Vanvleet, a former chef at Curio, Peche, Cochon Butcher, Meauxbar and Gris-Gris, studied the history and flavor profiles of absinthe to build a menu that is complementary to the spirit’s essence. Several of Vanvleet’s delicious dishes are: French Onion Pot Pie with puff pastry and gruyere. Another is Moules and Frites with parmesan broth and fennel frites, and Chicken Lollies stuffed with whipped foie gras. Nick Detrich and Chris Hannah are certainly among the most respected and celebrated bartenders in New Orleans. 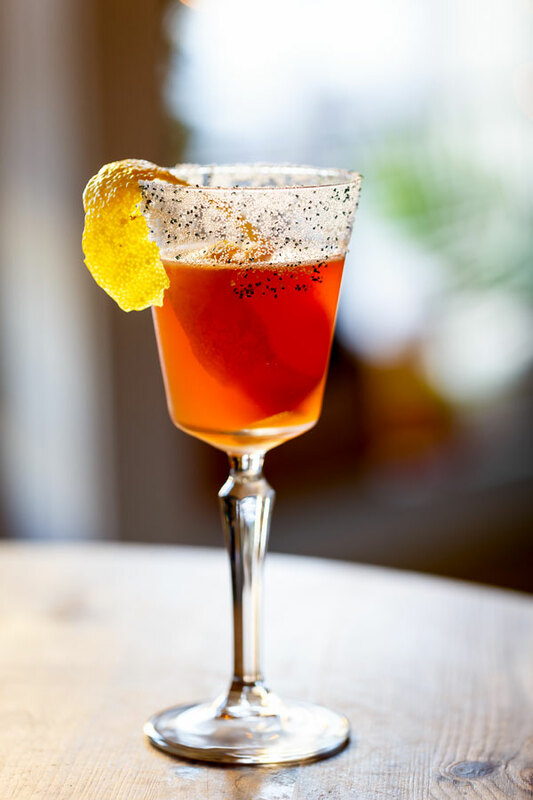 The two friends, travelers, and colleagues opened their second venture together early this year: Jewel of the South, a rebirth and homage to the renowned 19th century establishment’s owner/bartender, Joseph Santini, who created the Brandy Crusta. The restaurant’s legendary bartender Santini is also credited throughout the spirits history for introducing citrus juice into cocktail recipes. In addition, Detrich noted that the Jewel was the first restaurant in the city to serve gumbo. The new Jewel of the South’s home resides in a Creole cottage dating back to 1830, featuring three separate dining areas, and a tropical courtyard. Much of the décor and menu pays homage to New Orleans history. The bar and restaurant’s centerpiece is a 19th century antique backbar that after 100 years of service in London travelled across the Atlantic to Washington, where it remained for the next 50 years. The backbar is not the only important item from London to join Detrich and Hannah at the current Jewel of the South. London-born Chef Philip Whitmarsh will helm Jewel of the South’s kitchen. The chef, whose wife is from Louisiana, and his family moved to New Orleans in 2015 as Compere Lapin’s sous chef. His menu consists of inspired western European fare with highlights of Louisiana cuisine. Hannah, who put Arnaud’s French 75 bar on the world map over his fourteen years there, and won an acclaimed James Beard award there in 2017, is naturally, serving Brandy Crustas, French 75s and a whole lot more! Champagne diva, Crystal Coco Hinds, owner of the fantastic Effervescence, a French Quarter Champagne bar and lounge, offers a new experience in sparkling wine and small-plate dining. Located in a renovated mid-1800s era Creole cottage retaining much of its historical architectural characteristics, the bar’s interior is stylishly designed and adorned with Champagne artifacts punctuated by a U-shaped central bar. A charming brick patio with a fountain is an outdoor attraction for drinking and dining. 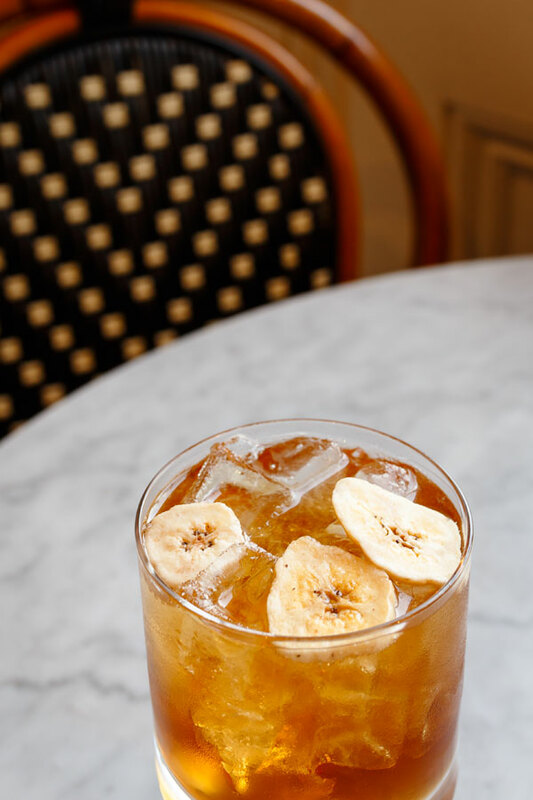 Tempt your palate and try “Orange You Glad I Said Banana,” a drink off of their Bubbles and Troubles menu, which was inspired by the Bananas Foster dessert that Bar Captain, John Slavich, enjoyed at family gatherings. It’s the perfect dessert drink that’s not too sweet but satisfies. The environment is as smooth as the Champagne and the specialty drinks make this little spot perfect for just two, or spacious enough for a small party of revelers. For wine, beer and cocktail drinkers, there’s nothing like Patrick’s Bar Vin for a cool, light adult beverage. A Belgian by birth, Patrick takes pride in the Belgian beers he tries valiantly to keep in stock, some of the best finds in Belgian brewing. Belgian beers are revered the world over, as much for their tastes as for their consistency. Patrick is also knowledgeable about the history of these beloved beers. Who knew that beer was the beverage of choice for the common people in the Roman Empire? Ask Patrick! Patrick has been in the hospitality business most of his adult life and has worked in famous hotels and renowned restaurants. He has often been a sommelier, a maitre’d, and served in other roles. Now that he has his own business, he knows how to make his customers happy. His list of beers alone is significant: domestic, local, imported and draft beers are available. The imported beers are astounding with beers from France, Denmark and maybe a dozen from Belgium, including several Belgians on draft. Among the many cooling cocktails, some with wine, served at Patrick’s are Bar Vin Kiss (a shot of Veuve Cliquot); a Champagne Cocktail; French 75 with either gin or cognac as the spirit; Bar Vin Royale; The Pink Drink; St. Germain Cocktail; French Sangria; Lisa’s Temptation; Bar Vin Sazerac; Bienville Sour; and Sweet Sarah. Several of the white and rosé wines that are on Patrick’s menu are Sasha Lichine’s Provence Rosé, Pierre Chainier‘s Sancerre ”Les Hospices,” Mara’s Sauvignon Blanc and Moises Vineyards Pinot Gris. To add to the fun, Patrick has at least a dozen Champagnes to choose from on his wine list. Merci!